You can access VHDL-Tool's built in language server from within Emacs with the lsp-mode package. This exposes all of the features of VHDL-Tool from within Emacs. An Emacs configuration file to get you started can be found here. 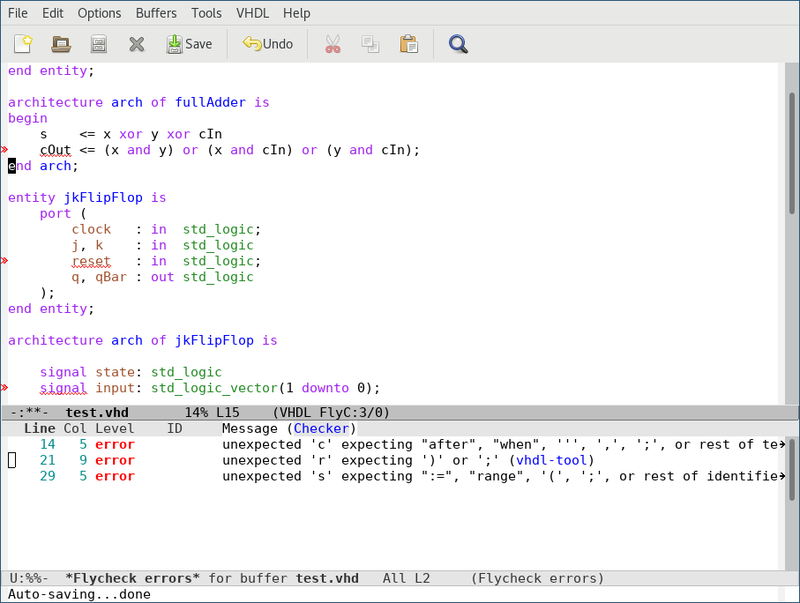 VHDL-Tool's linting and syntax checking features are also accessible from within Emacs through the Flycheck plugin. Copy as much as you like from the sample emacs config. You will need at least the VHDL-Tool flycheck checker definition. Make sure vhdl-tool is configured properly by running vhdl-tool check-config in the directory containing the configuration file.